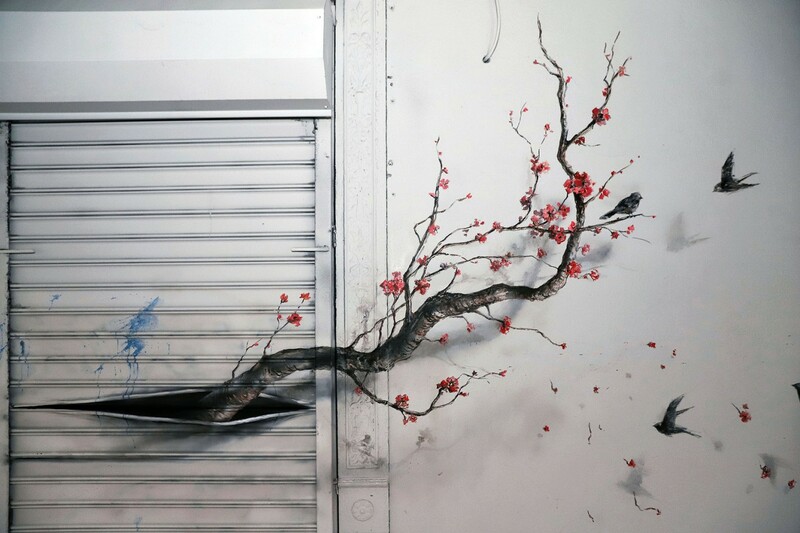 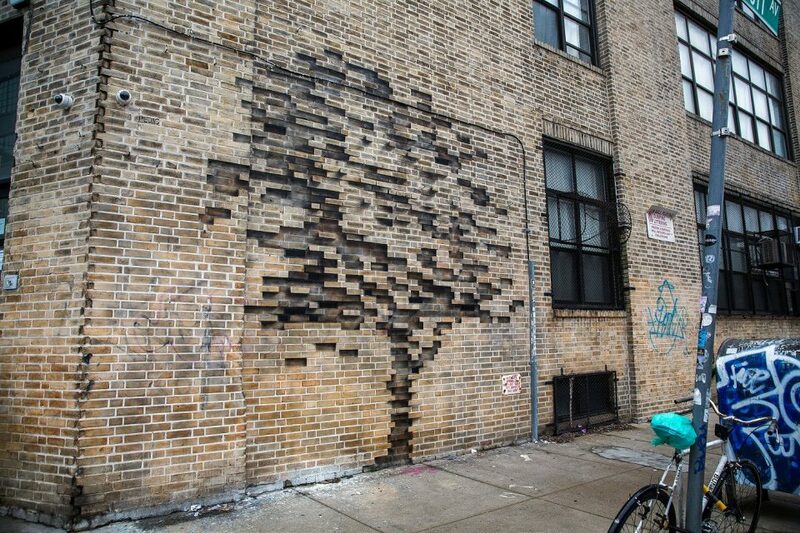 The streets of Brooklyn are a little brighter these days with the addition of two new pieces by Spanish street artist Pejac, including one that appears to be chiseled out of a brick facade. 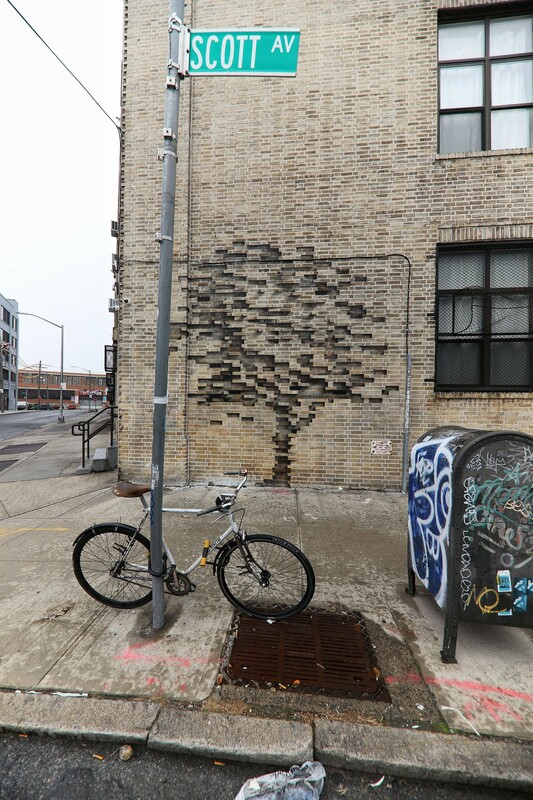 Both reflect on the impact of cities on nature; one comments on conspicuously absent greenery while the other illustrates Jeff Goldblum’s infamous Jurrasic Park line, “Life… uh… finds a way.” One is a little bleak, suggesting that trees might someday go the way of dinosaurs, while the other is a tad more hopeful. 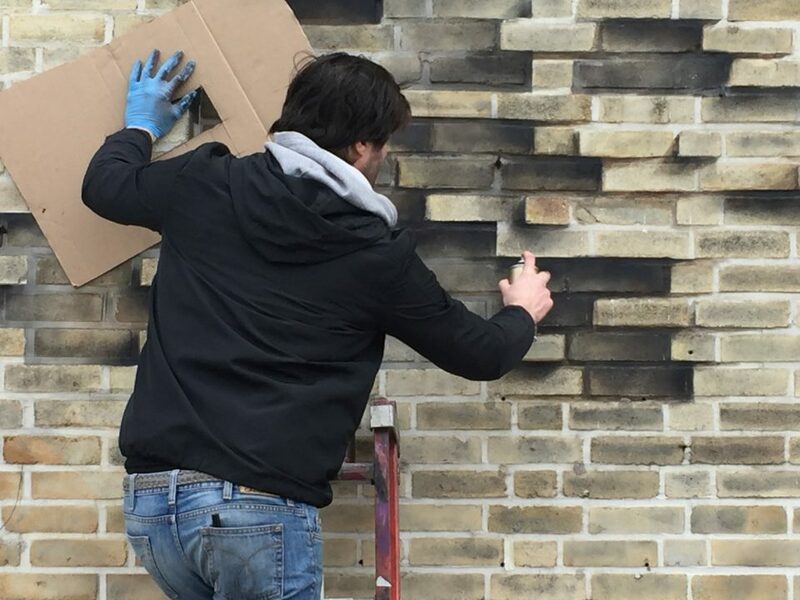 Though it may look like bricks were removed to create the piece, it’s actually just clever shading created with some spray paint and a cardboard stencil. 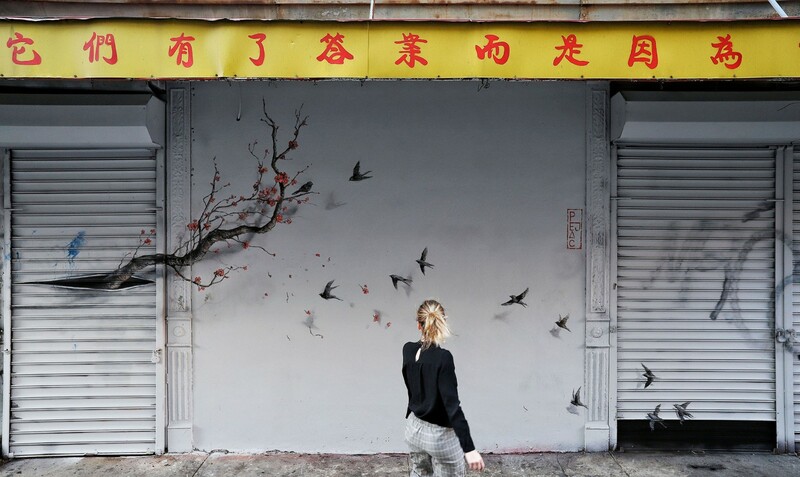 Previously, Pejac created a series of bird silhouettes in a Croatian window, ‘cleaned’ the paint off a brick building to reveal the shape of flourishing vines, and painted convincing illusions of keyholes and windows on cement.